I've struggled with actually getting my camera out to take pictures lately... maybe that's why I got this guy to smile at me a bit. 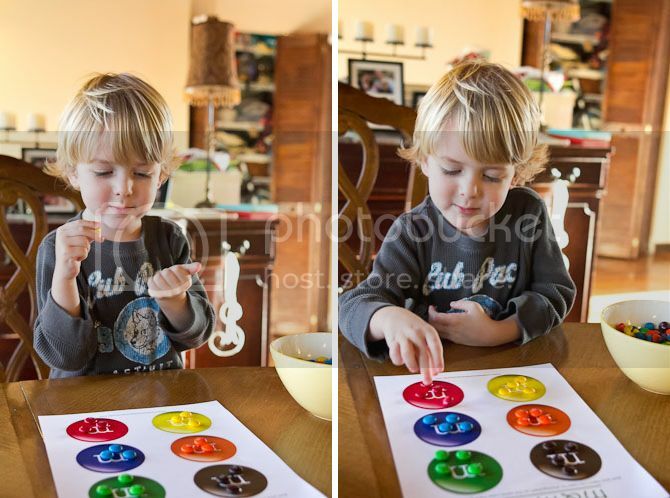 Or it could have been because I was letting him do an activity that involved M&Ms. Real talk: it was probably the candy. And for Braden's half... this boy loves to read. Mostly in Finley's bed. In his diaper. 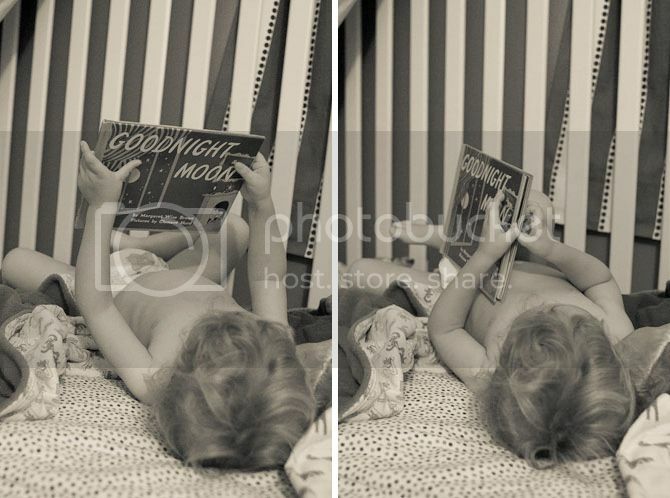 Two nights ago, he read Goodnight Moon. And last night he read That's Not My Truck. 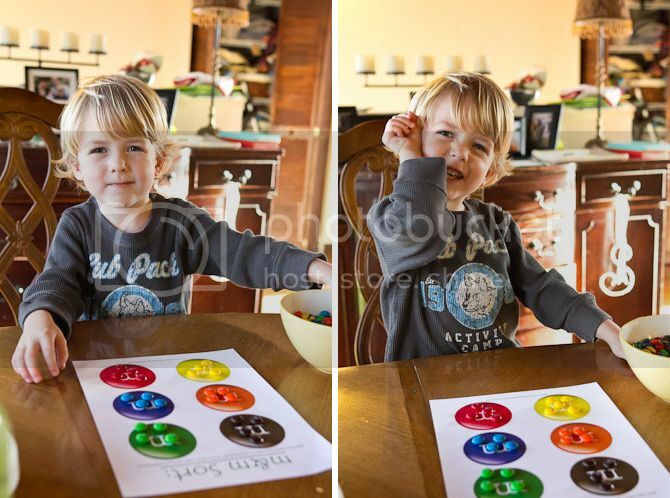 We had the camera out because he was yelling I WANT A COOKIE in a really funny voice... but he got distracted by this book which turned out to be possibly cuter. He's saying "that's not my truck, it's so bumpy" for every page. Also you get to hear his favorite noise--shrieking. We're working on it. I love when he reads. also, work on the shrieking some more because I'm really afraid that he'll do it when I get there. IT IS SO LOUD AND FRUSTRATING. But kind of cute? Barely? HE SMILED!!!!! OMG!!! AND IT'S ADORABLE!!! OMG. "That's not my truck, it's SOOOO bumpy!" is ADORABLE! OMG!!! It still kind of makes me do a double take when he talks! Also, you need detail shots for every third shot you take of a face. That's my rule. And there's your challenge. 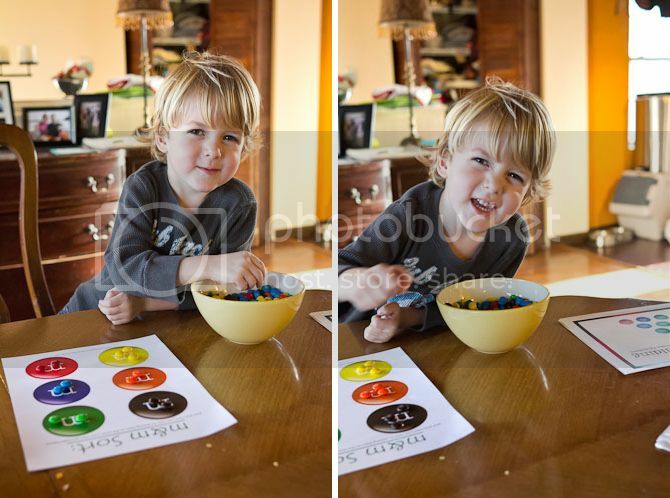 Details of bowl of m&m's - details of hand putting m&ms in right spot - detail of what the ceiling would see if it had the camera and was watching him sort. BOOM! I took one of his hand and it didn't really turn out. I should have just emailed you this post directly for help! And it is crazy to hear him talk--he kind of just exploded!